We have just stayed at the Hotel Napoleon Paris to celebrate our 50th wedding anniversary. It's rare nowadays to return to a hotel after 30 years and to find it just as superb as we remembered. The service was impeccable, both on line before we arrived and during our stay. As part of their Wedding Anniversary package, we were upgraded to a spacious, lovely suite - a real treat in the centre of Paris; it had just been tastefully re-decorated and was very clean. There was a red 'heart' balloon on the comfortable king-size, bed. The well-equipped bathroom had both a shower and a bath. We had requested a quiet room and our suite looked out onto a secluded inner courtyard. We had a most enjoyable dinner in the hotel restaurant, Le Bivouac, on the night of our arrival. There was a full, first class buffet at breakfast. Room service was prompt and excellent. The hotel was the perfect base for this nostalgic trip. It is very close to the Arc de Triomphe, the Champs-Elysees and the Metro (Charles de Gaulle-Etoile). The ambience of this hotel is delightful. There is attention to detail, the staff are friendly and well trained, and the building itself is magnificent. We are very happy to recommend this hotel. Our stay has added to our fund of unforgettable memories of Paris. It was a great pleasure to read such a nice review regarding your recent visit at hotel Napoleon Paris. We thank you very much for taking the time to share your experience. We are very touched by your feedback, especially you still thought of us when you were back in Paris after 30 years. How lucky and grateful we are! Moreover, you were satisfied with our services and the teams, thanks to our stunning location, the professionalism of the staff, and our attentive services. Once again, thank you for trusting in us and giving us an opportunity to welcome and serve you again. We look forward to welcoming you back in a very near future. 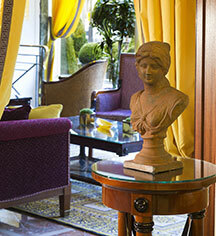 The hotel is really nice, with a great location, 1 minute walking from Arc de triumph or the Champs Elysees. The stuff is really kind and helpful, guide you, help you, and always with a smile. The room is pretty big compared to the average Paris hotels. It is well equipped, and also with a minibar fridge with free soft drinks. Really nice bonus and not common. Room service works at night with a limited menu, but really fast and with decent prices for most of the courses. The only thing that really bothered me was cigars/cigarettes smell which comes and goes mostly through the evening and night. I stayed at the first floor, and I guess it comes from the bar, but I didn't check it. Breakfast was nice, with a limited variety, but everything was tasty, and with a great service. It is a big pleasure to read your lovely comment regarding your stay at our hotel. We thank you very much for taking the time to share your impression on TripAdvisor. We are so delighted to know that you are satisfied with our location, the staff and our services. Your satisfaction is our priority and we are very proud that we did meet your expectation. However, we do apologize for the inconvenience caused. Thank you for the advises, to avoid the smoking smell, please let us know in advance so that we could assign the room from the 2nd floor. We truly hope to welcome you back at our hotel in the near future. I made reservations for two rooms at Hotel Napoleon on Expedia for me and the colleague who is traveling with me. When I read reviews, most were from Middle East or Chinese so I didn't know what to expect. We were pleasantly surprised that the hotel upgraded us to their best suite upon our arrival. It came with complimentary mini bar and four complimentary drinks at the bar. The best of all was the view!!! The suite had a wrap around balcony and great view of Eiffel Tower and Arc de Triomphe. We had an outdoor dinner on our balcony and it was out of this world!. lI'll never forget the sparkling Eiffel Tower in the dark. Mr. Niuegn at the front desk was exceptionally helpful-a true gentleman. Don't be discouraged by all those Chinese reviews. This is the best hotel in Paris if you value classical services and great views. Many thanks for such a great feedback that you have shared regarding your recent stay at hotel Napoleon Paris. It is one of the greatest pleasures to read your comment, and to know that you had a great experience with us. We work hard everyday to give the best satisfaction to our precious clients like you and we are very happy that we did meet your expectation. Our Presidential suite is unique as it offers a great view on the most two famous monuments in Paris, Eiffel Tower and Arc de Triomphe. We are glad you enjoyed it. We truly look forward to welcoming you at our hotel again very soon. Spent 3 nights here and had wonderful sleep on each night. Fantastic bed and the suite was top quality. Bathroom had separate bath, shower and toilet and was all high quality marble. Be aware that the curtains let zero light through, so if you rely on daylight to help you wake up you may want to leave them slightly open. All of the little things that you wouldnt expect help to make this place - the marble, the wood, the fabric walls (no cheap wallpaper here). TV was good with many international channels, with about 5 channels per language available (BBC1, 2, CBBC, Sky news, bloomberg, CNBC and Euronews, France24 available in English). Very friendly, polite, courteous staff who are extremely helpful. This is a great base for exploring Paris, with the Arc and Champs Elysee right on the doorstep, Eiffel tower and Trocadero a very short walk away. Room service menu did not have as much food choice as I expect from a 5 star, and the night menu (after 11pm) was very limited, but you are in central Paris so there is always a huge selection not far. Thank you so much for such a great review that you have shared on TripAdvisor regarding your last visit at hotel Napoleon Paris. What a pleasure to read your message for us, we are very delighted that you had a great experience, and we did meet your expectation. I am more than happy to share your comments to the entire team. Please be assured that the satisfaction of precious clients like you is our priority and we keep continuing to improve our services. Regarding the room service menu, thank you for noticing us this fact, our Food and Beverage Department has been informed about that and we willl have a solution as soon as possible. We do truly look foward to welcoming you at our hotel again very soon. Hotel is in an amazing location and our rooms were upgraded so we had a fantastic view of the Eiffel Tower and Arc de Triumph. The staff were faultless from check in to check out and were polite and efficient the whole time during our 3 day stay. The rooms were to a high standard and had everything you needed and were clean and tidy. Breakfast was also fantastic and I could not fault the hotel in any way. We booked our trip for 6 adults, 3 x double rooms 4 months ahead and could not foresee that the Yellow Vest rioting on the Champs Elysee and Arc De Triumph reached their peak the weekend we were there. However, the Hotel were still very professional and helped us book a taxi back to Eurostar earlier than planned (as the French Custom were also on strike!) All in all, we still had a stay to be remembered and I would definitely recommend Hotel Napoleon and would stay there again. Perfect location, friendly staff, clean rooms and excellent breakfast. What a pleasure to read your lovely review regarding your last visit at our hotel on TripAdvisor. We thank you and really appreciate that. We are very happy that you had a great experience with us, and you enjoyed your stay in Paris, even though there was the Yellow Vest protest. Thanks to our unique hotel decoration, stunning location, high quality products and the professionalism of our staff. Your review has been shared to our entire team and we are very touched by it. 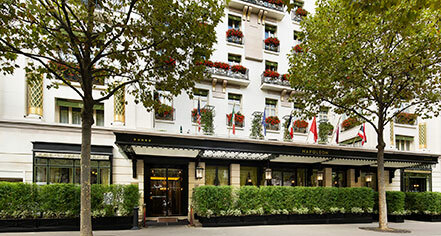 We truly look forward to welcoming you at hotel Napoleon Paris again soon.